These 3 Stocks Are Up 25% in 2018 -- Are They Still Buys? Sometimes the best stocks to buy are the ones the market has beaten up. But just as often, the winners keep on winning. While the recent pullback has pushed many stocks well off their highs, and now has the S&P 500 up less than 6% so far this year, there are plenty of stocks which have delivered really big gains for investors in 2018. Three in particular that have done well for their shareholders are Square Inc. (NYSE:SQ), Crestwood Equity Partners LP (NYSE:CEQP), and CenturyLink Inc. (NYSE:CTL), which have gained 129%, 30%, and 29%, respectively, since the first day of trading this year. For Crestwood and CenturyLink, which pay big dividends, it gets even better: They've delivered 40% in total returns so far this year. But are they worth buying now? Sometimes a stock can run too far too quickly, while other times, the best is yet to come. We asked three Motley Fool contributors for some insight on these three companies, and their analysis came down firmly on the "buy" side for all three. But that doesn't mean they're necessarily right for your portfolio. Keep reading below for a closer look at each stock and the insight that can help you determine which of them belong in your portfolio. Matt Frankel, CFP (Square): Square has performed so well in 2018 that even after losing 26% of its value in a recent pullback, the stock is still up by 138% year to date. Simply put, the company's business is firing on all cylinders -- growth has exceeded expectations and the business is becoming more efficient. The first reason I'm considering adding to my own Square investment is that the recent dip was due to a few factors that shouldn't meaningfully affect the company from a long-term perspective. Specifically, the Square Installments initiative, which represents the company's first consumer-lending effort, was negatively viewed by analysts for the increased credit risk it will bring. While this may be the case, the massive revenue growth opportunity it could bring more than justifies any additional risk. Plus, Square is only extending installment financing to qualified purchasers. Another negative catalyst was CEO Jack Dorsey's recent sale of more than 103,000 shares. This was a total non-event and was actually a planned sale that resulted from the exercise of stock options. Finally, the most important piece of news was the announcement of CFO Sarah Friar's upcoming departure. Friar has been an amazing CFO, but there's no reason to believe that Dorsey and his team won't be able to find the right person to fill the job. I completely understand why the stock fell as a result, but a nearly 30% drop is definitely overkill. The point is that Square's long-term growth trajectory remains intact. The business still has tons of room to grow, and the Cash App represents a particularly compelling long-term opportunity to monetize millions of users, especially in the area of personal lending, which I mentioned earlier. Square's stock was recently marked down and it looks like a compelling value given its long-term potential. 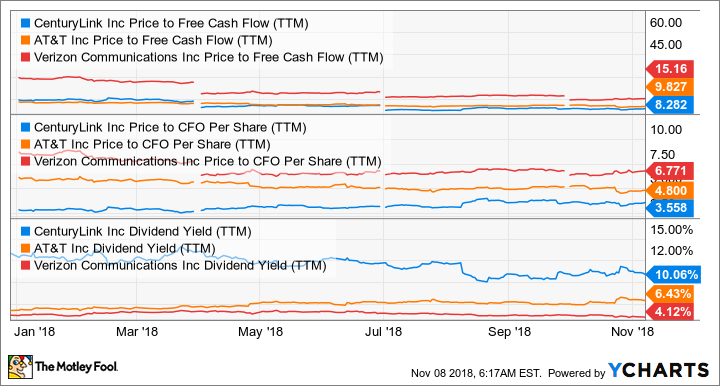 Matt DiLallo (Crestwood Equity Partners): Midstream MLP Crestwood Equity Partners has been scorching hot this year, rocketing more than 27% since the calendar flipped the page to 2018. Fueling the pipeline company's rally has been a noticeable turn in its financial results, thanks to its efforts in previous years to improve its balance sheet and growth prospects. Because of that big gain, Crestwood isn't quite the irresistible value it was earlier in the year. However, that doesn't mean the midstream company isn't still a good buy. For starters, it remains cheap when its growth prospects are factored in. The company currently expects to invest $300 million to $350 million in building new midstream infrastructure in several fast-growing regions this year and another $250 million to $300 million in 2019. Those expansions position it to grow its cash flow per unit at a 15% compound annual growth rate through 2020. Using that forecast, Crestwood trades for less than 10 times its expected earnings for 2019, which is well below the 12.2 times average of its peer group. That suggests Crestwood remains about 20% undervalued versus its peers, and even more so when considering it's growing faster than rivals and should fetch a premium multiple. Add that upside from both earnings growth and the continued narrowing of the valuation gap to Crestwood's 7.2%-yielding distribution, and the MLP has the potential to continue generating big-time total returns in the coming year. That makes it still worth buying in my book. Jason Hall (CenturyLink): As of market close on Nov. 7, shares of old-school telecom CenturyLink are up 28.7% since the start of the year. In addition to the very generous dividend, investors who've owned since Jan. 1 have enjoyed over 40% in total returns this year. Even with those gains, I think it's a buy, even as some of my colleagues remain convinced that it should be avoided because they don't think the dividend is sustainable, or because it's not one of its bigger, more wireless-focused peers. Here's what they're missing: CenturyLink's cash payout ratio was well below 100% over the past 12 months. Furthermore, management says the company will generate about $1.3 billion in excess cash flows this year above and beyond its dividend and capital expenditures spending. It will use the majority of that to pay its debt, boosting future cash flows and strengthening the balance sheet. CenturyLink also trades at a substantial discount to its peers based on cash flows, while its dividend -- which as I have shown is more secure than it seems -- yield is substantially higher. CenturyLink may not have the same growth prospects as other telecoms, but its valuation and yield more than make up for that. Furthermore, its prospects are also better than many people realize, following the Level 3 Communications merger. It's also on track to generate meaningful operating improvements from its integration of Level 3. This should boost cash flows and free up resources to further invest in growth and improve the balance sheet. Even with a nearly 30% gain already this year, CenturyLink stock is still a solid value. With decent prospects ahead of it and more improvements helping the business throw off a lot of free cash flow, I think it's worth buying today.